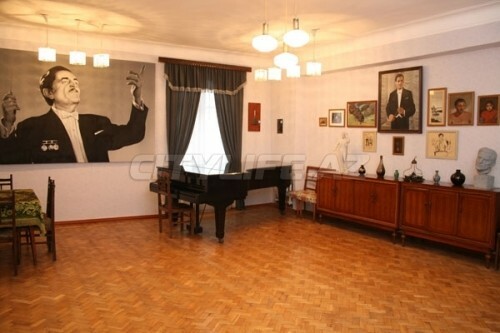 Open Doors Day will be held in the House Museum of prominent Azerbaijani conductor and composer Niyazi Tagizade-Hajibeyov on the 30th anniversary of his death on August 2. The visitors would be informed about the life and works of the prominent conductor and composer at Azerbaijan's branch of Musical Culture Museum, House Museum. Niyazi's Museum House now stores more than 6,700 exhibits. Niyazi conducted many of the major symphony orchestras in Prague, Berlin, Budapest, Bucharest, New York, Paris, Istanbul, London, Tehran, Beijing and Ulan-Bator and played an important role in making Azerbaijani classical music known to the world. Moreover, being a talented composer, he splendidly synthesized the traditional Azerbaijani folk music Mugham with western classical symphonic music. His symphonic Mugham "Rast" achieved worldwide popularity. It was included in the repertoire of many symphony orchestras around the world. Among his most significant works are the "Khosrow and Shirin" opera (1942) and the "Chitra" ballet (1960). In 1945, the prominent Azerbaijani conductor together with his world famous uncle Uzeyir Hajibeyov played a role as a composer in the "Arshin mal alan" musical comedy film. Niyazi was the conductor and music director of Azerbaijan State Symphony orchestra for 46 years- from 1938 to his death.